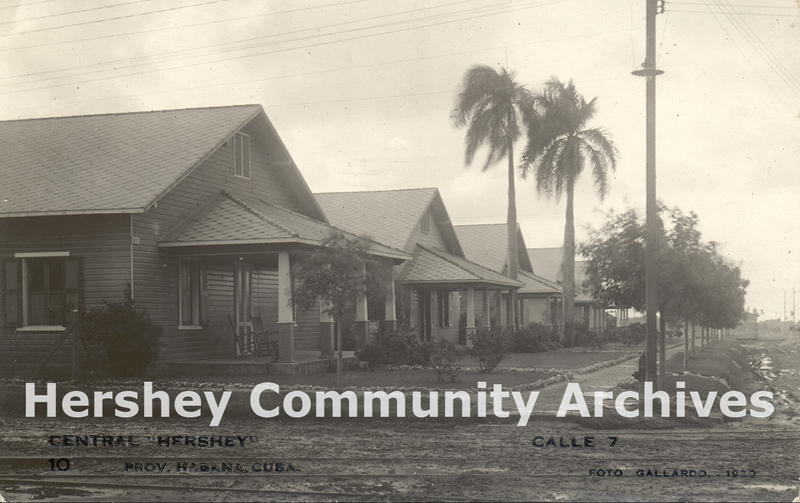 Milton Hershey first visited Cuba in January 1916. It is said that he fell in love with the country at first sight. It was a country of eternal spring, where the inhabitants found it hot if the temperature went up over eighty degrees and cold if it dropped to seventy. Hershey was excited by the immense sugar plantations in Cuba. In 1916 the world was embroiled in the first great war and sugar, essential to milk chocolate production, was in short supply. 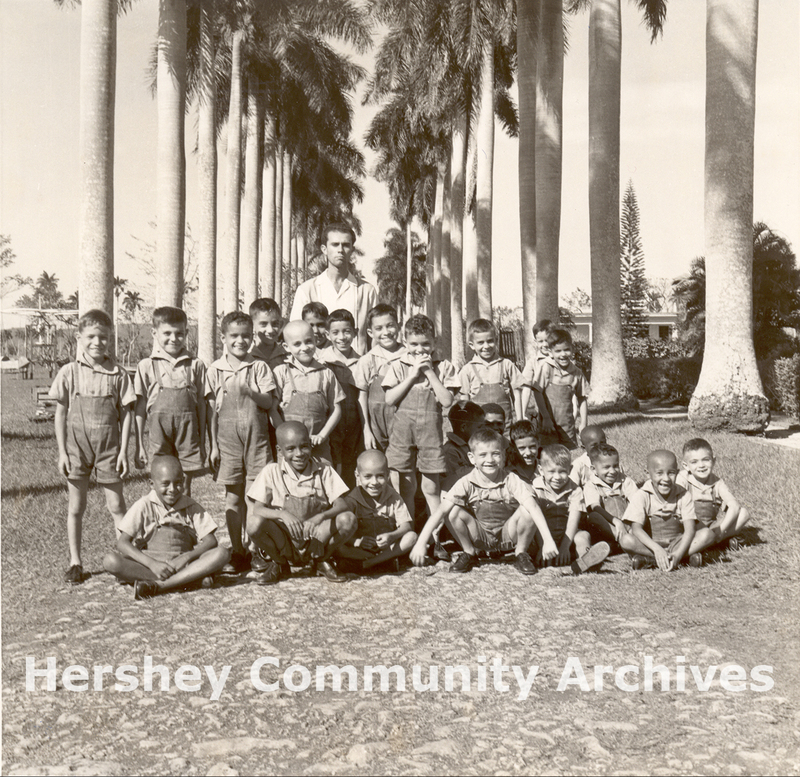 During his first visit to Cuba, Milton Hershey decided to purchase sugar plantations and mills so that he could mill and refine his own sugar for use in his Hershey chocolate factory. True to style, once he had made the decision, Milton Hershey moved rapidly to carry it out. Within a few weeks of his arrival in Cuba, he had explored the country for sixty miles east of Havana, bought a small sugar mill, Central San Juan Bautista, (central is the Cuban term for a sugar mill and its surrounding town) selected the site on which to build a larger mill, and started to build a railroad to service it. 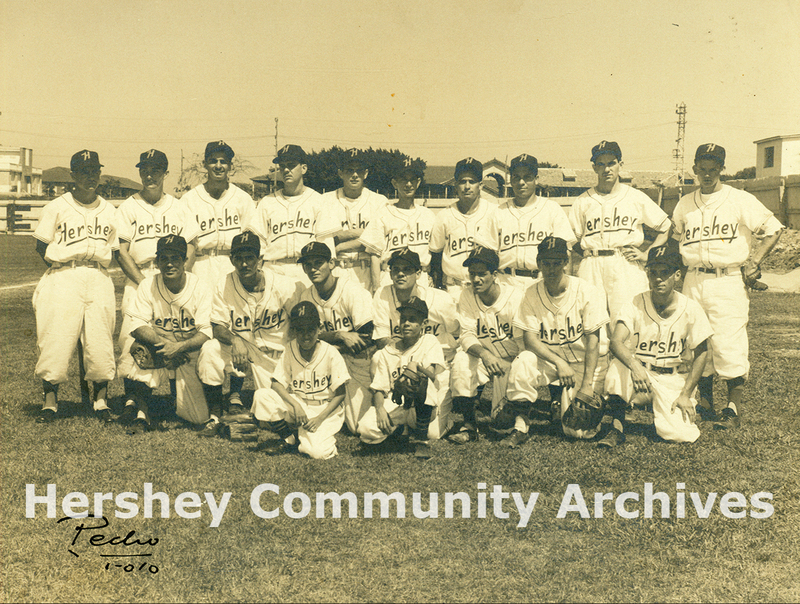 When he returned home to Hershey, Pennsylvania in early April, the Cuban enterprise was already well under way. The flagship of Hershey’s Cuban holdings would be a new mill and town, Central Hershey, located near Santa Cruz. Much like his decision to build his chocolate factory and the town of Hershey, Pennsylvania, local Cuban businessmen cautioned Milton Hershey against his plans. 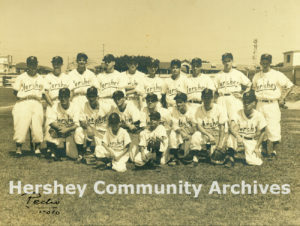 The site chosen for Central Hershey was not close to transportation or a ready supply of workers. 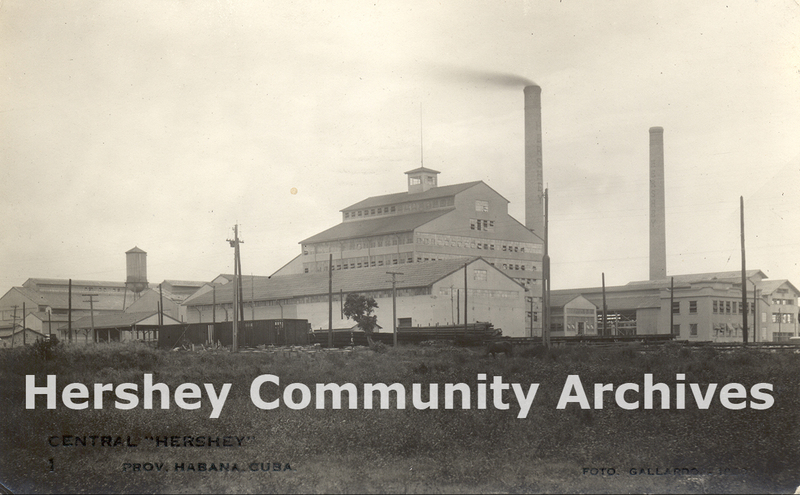 However, once again Milton Hershey envisioned the new town that would be constructed along with the sugar mill. His vision and concern for his workers resulted in a loyal workforce. 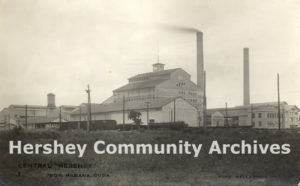 The sugar mill was completed in 1918. To transport building materials to Central Hershey and to market the sugar, Hershey constructed a railroad that eventually ran between the major ports of Havana and Matanzas. The railroad was completed in October 1922 and was all electric. To provide for his workers at Central Hershey, Mr. Hershey constructed a town or “batey.” In addition to comfortable homes for rent, there was good health care, and recreational facilities including a baseball diamond, golf course and sport club, and a general store. Milton Hershey provided free public education for his workers’ children. Just as he did in Hershey, Pennsylvania, Mr. Hershey built and furnished the school building before donating it to the community. Similar to his Pennsylvanian town, the railroad permitted employees to choose where they would live. 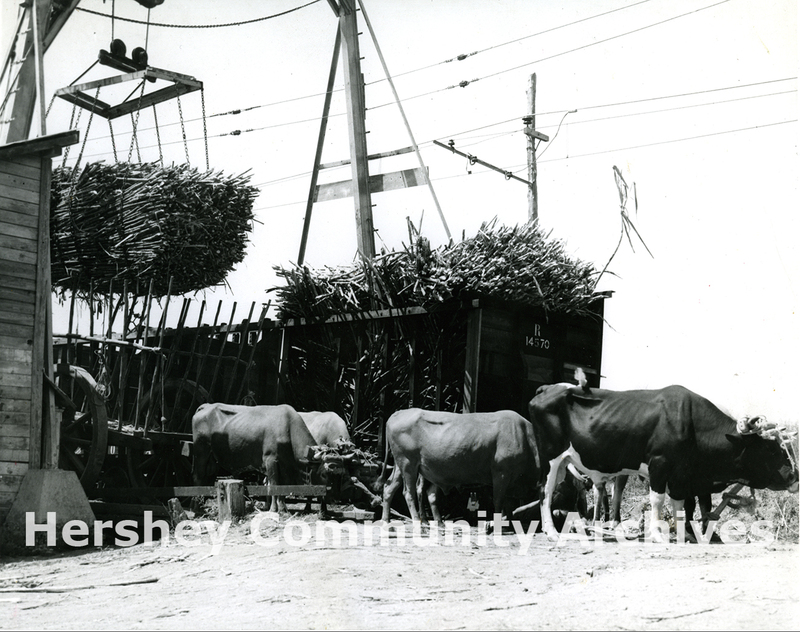 Once Central Hershey was well established, Hershey purchased other centrals, some for the mill and others for the sugar plantations attached to them. In 1920, he bought Central Rosario. In 1925, he bought Central Carmen and Central San Antonio and in 1927, Central Jesus Maria. 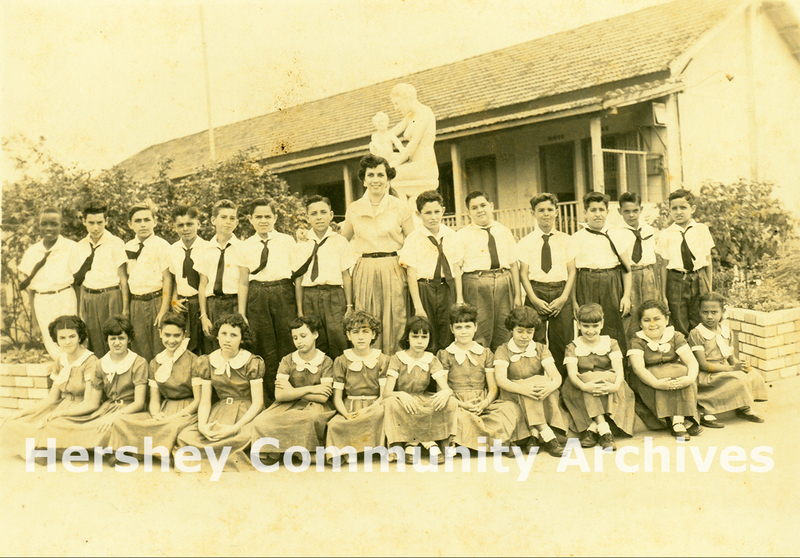 At Central Rosario Mr. Hershey also founded an orphan school, the Hershey Agricultural School. He operated it for 10 years before transferring its operation to a local orphanage. The first students were boys whose parents had been killed in a 1923 train accident on the Hershey Cuban Railroad. The primary object of this school was to train boys for jobs on the farm or in industry. 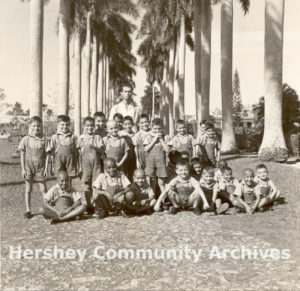 Milton Hershey had great plans for it, including building a model sugar mill and teaching modern agricultural methods to prepare the boys for careers in Cuba’s principal industries. 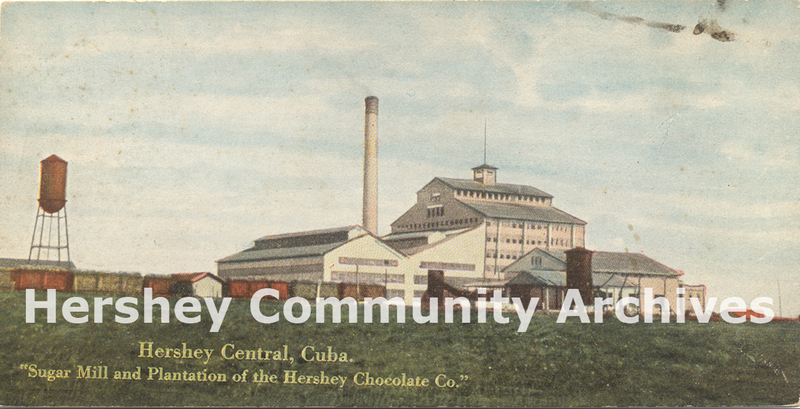 Hershey’s Cuban holdings were sold in 1946 to the Cuban Atlantic Sugar Company. At the time of the sale the operations included 60,000 acres of land, 5 raw sugar mills, a peanut oil plant, a henequen plant, 4 electric plants, and 251 miles of railroad track with sufficient locomotives and cars.